Available in 20 models with Â½, Â¾, 1, 1 Â½, and 2 in. NPT threaded connections, Series U1-45 is designed for installation in withdrawal lines of flammable or combustible liquid storage tanks. FM-approved units are normally held in open position by heat-activated element mechanism. In event of exposure to external fire source, element is activated, valve is closed by internal spring, and flow of liquid through line is stopped. Personnel never have to enter hazardous situation to turn off valve. The Protectoseal Company introduces the new Series U1-45 Heat-Actuated, Safety Shut-Off Valve specifically designed for installation in the withdrawal lines of flammable or combustible liquid storage tanks. The tank withdrawal line typically supplies fuel to peripheral support and emergency equipment such as generator sets and pump engines found in but not limited to commercial, construction and industrial applications. The valve is normally held in the open position by a heat-activated element mechanism. In the event of exposure to an external fire source, the element is activated and the valve is closed securely by an internal spring, and the flow of liquid through the line is stopped. 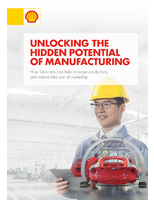 Personnel are never placed at risk having to enter a hazardous situation to turn off a valve. Series U1-45 consists of 20 various models, in ½”, ¾”, 1”, 1 ½” and 2” NPT threaded connections. The units have been granted FM Approval and meet OSHA 1910.106(b)(4)(iv)(c) & 1926.152(i)(4)(iv)(c). Protectoseal has more than 85 years of experience in providing products and services for the safe handling of flammable liquids and for the controlling of their vapors: Pressure / Vacuum Relief Vents, Emergency Vents, Flame & Detonation Arrester, Tank Blanketing Valves and a variety of specialty tank fittings. 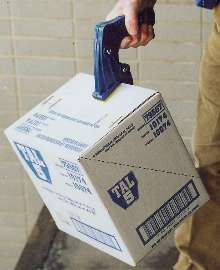 Carton Grips enable safe carton lifting. 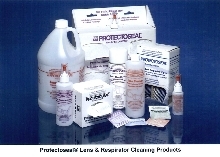 Lens Cleaners work on safety equipment.